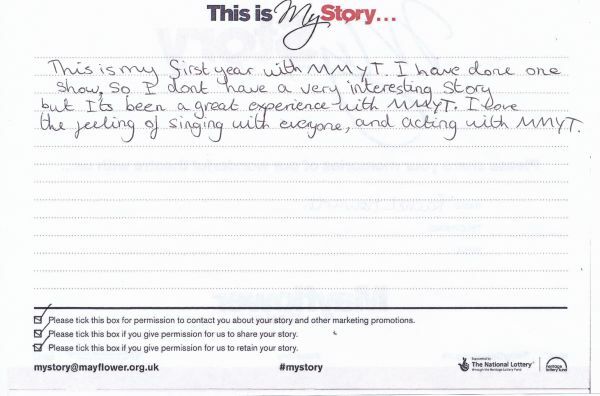 My Story card: Rachel Howarth remembers singing with everyone in MMYT. This is my first year with MMYT. I have done one show, so I don't have a very interesting story but Its been a great experience with MMYT. I love the feeling of singing with everyone, and acting with MMYT.